Constant economy growth and well-being improvement in China has raised its citizens’ awareness around health-care new stakes and purchasing strengths. Health issues are even more evoked in 2017 because of tight schedules, pressures on work and sometimes on social interactions, from growing needs for OTC Medicines like sleep aids or antibacterial remedies could help Chinese people to bear their heavy modern lifestyles where time is priceless. Other rises involve regular activities related to sports and fitness in which nutritious and healthy products are more coveted since Chinese sports institutions made some partnerships with international brands. What is the digital impact of health sectors innovations? Many reports, including the Consulting firms, predicts that Chinese market will more or less exceed the 1 Trillion $ while Chinese government specialists are even more fierce in their forecasts: healthcare sector has high chances, considering its unprecedented fast pace development, to weigh 1.4 to 1.5 trillion $ by the end of this decade. By now, investment in digital health sectors has contributed to top more than 1.6 billion at the end of 2016. Few elements that are driving the growth of Chinese digital health are quite similar to U.S recent reforms and investment. The Pharmacy Medical, Pharmacy, Health Care market in China is booming with 350 million middle-class consumers dramatically changing expectations and values when it comes to healthcare. Private healthcare has become a necessity for discerning Chinese that highly value this most important aspect of life. Two main reasons behind the ever-growing spending Chinese consumers consent in healthcare products and services. With incomes increasing gradually over the years, they tend to demand more about the latest in medical treatment and services. In the same way, caring about a proper evolution of a balanced body and environmental issues has definitely convinced them on purchasing more, investing for a long life and a better future. Opportunities are created for hospitals, pharmaceutical companies and medical device related to new Tech. State-owned enterprise and deregulation of exchanges policies, two key points previously considered as half banned due to government ironclad rules, are currently driving China’s digital health realm development. There’s a real interest for the Chinese government to make the health market in China more accessible for private investments and foreign capital. As Chinese consumers infer that their local medicine not really trustworthy, due to few scandals on norms and utilization, so that they occasionally buy during travels or business trips abroad. 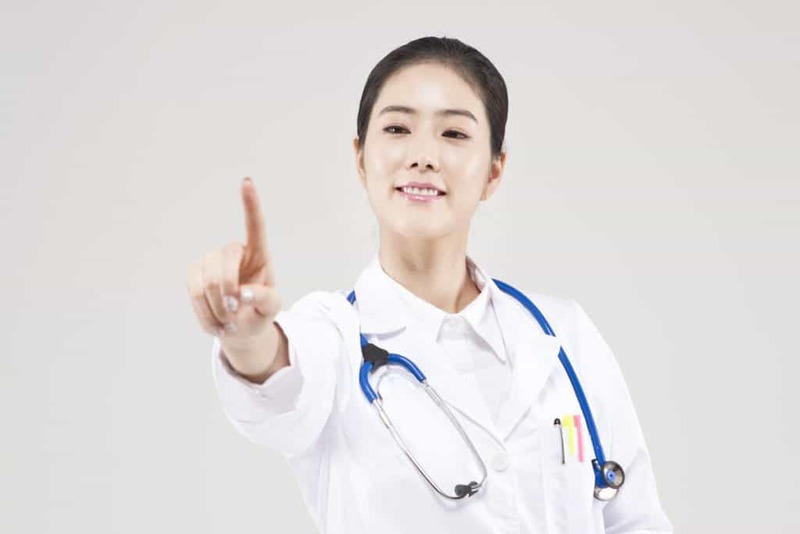 Overseas investors and companies have the legitimacy and rights to enter in China’s healthcare industry, establishing close partnerships with public institutions and invest in promising healthcare systems such as Augmented Reality for Education, Internet of Things known as “smart devices”, Cognitive Computers and so on. The Chinese government’s initiative of decreasing the regulatory barriers and tax incentives that quenched potential newcomers has been saluted by many international non-governmental organizations. Private insurance has made up for the lack of contentment encountered by consumers in public insurance plans, as merely more than 52 percent of Chinese people recently surveyed, from middle and upper class, shows some signs of satisfaction. This is a windfall for the private insurance sector. Even though it’s still oriented to have a supportive role for public plans and major projects dealing with large-scale illnesses, private insurance companies made their way by distinguishing their products from the public ones, emphasizing on Tech new trends related to trends. More close cooperation with public and private hospitals means a wider range of products, services, and at last new access solutions. As it’s not really believable that healthcare institutions still communicates with paper and traditional methods including a feeble rate of less than 10% of hospitals worldwide and 14% in China.. These figures display the lack of a more digitalized communication considering only a minority of hospitals have been able to exchange records through their digital systems. The current situation shouldn’t’ be considered as a drawback as long as the private insurance sector, in almost every country, is still in the first steps of a technology-oriented disruption. That’s a tremendous challenge for the whole healthcare sector but also an inestimable opportunity to enhance innovation to meet patients’ needs and the individualization of care. Although seeing a doctor may be faster in China compared to the U.S, same for an appointment if patients are willing to pay a “special care” price to save time and go ahead to have the treatment as soon as possible. This privilege especially applies to complex treatments requiring more patience and time for an appointment ticket that could last for an undetermined period. The app in the Health Care Market in China! More than 2000 mobile apps for healthcare has been launched, from simple medical advice to appointment booking, hoping in the middle-run tailored digital services will release some pressure for overcrowded hospitals. Not only there’s still a shortage of resources, the distribution of equipment and beds is not efficiently organized to optimize time management for treatment and cure priorities. In recent years, an uncontrolled expansion of public hospitals has resulted in their oversize, some currently exceeding 10,000 hospital beds, whereas the development of starter medical institutions could be jeopardized. Measures have been taken by the Government to curb this contrasted expansion, with ambitious objectives and forecasts. As an answer to these issues, more than 2000 mobile apps for healthcare has been launched, from simple medical advice to appointment booking, hoping in the middle-run tailored digital services will release some pressure for overcrowded hospitals. Digital health is basically the alchemy between healthcare and technology, a new actor has properly prepared his entrance on stage: Ping An Good Doctor. 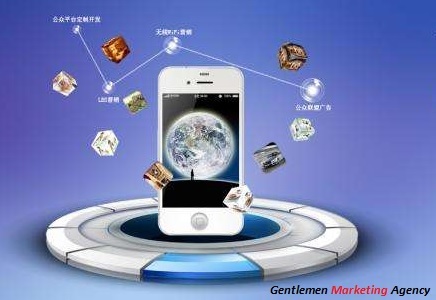 It claims more than 27 million active monthly users and 75 million registered. Ping An received exclusive permission from the government to hold partnerships with outside companies willing to invest in domestic private insurers with an ironclad condition of non-exceeding 50% of their stake. 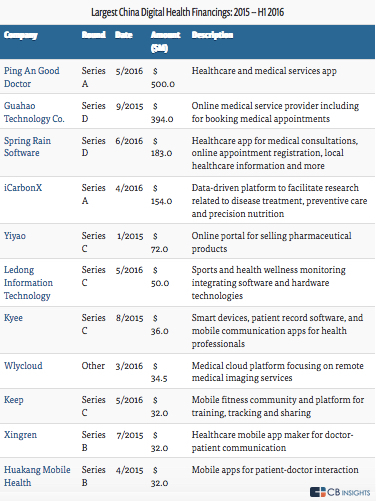 It works in both ways, Ping An has the privilege to invest in U.S. digital health companies, targeting their cutting-edge products while overseas competition is allowed with Chinese health companies. Widening its offers and services is another option like telemedicine or broadcast videos. Aware of hospitals’ technology development U.S. searchers and start-ups put their effort into it, Chinese Internet giants such as Alibaba, Tencent have made their move on the chess board. New roles are attributed, investors and players, to regulate the healthcare sector and then remedy to current medical issues or scandals that reinforced distrust and misjudgment. 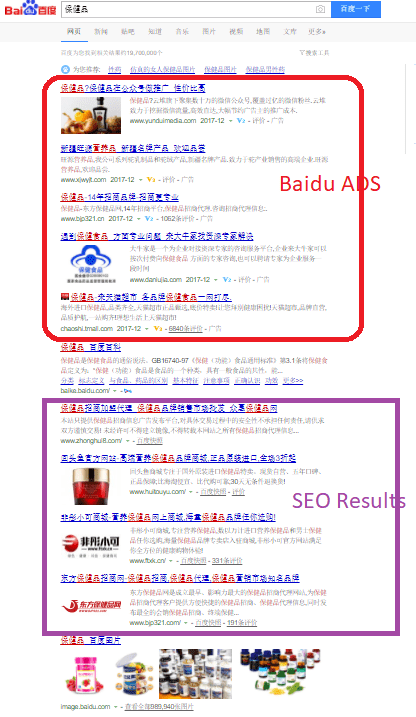 The search engine has flaws as Baidu is not as well handled, functionally and conditionally speaking, as Google. 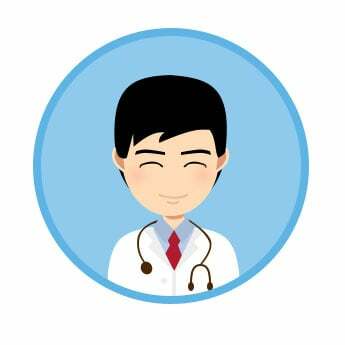 As a result, its flagship app Baidu Doctor has been forced to close due to funding problems. Deficiencies in online services shown, the great occasion has come. 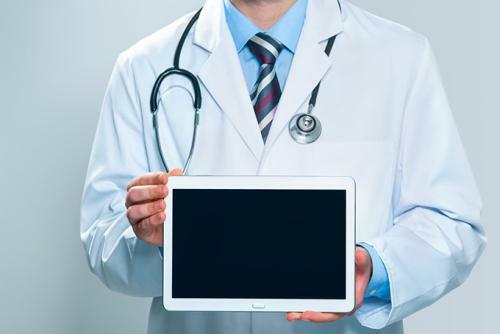 Preventing more companies to fail, We Doctor, a medical app launched by Tencent’s Wechat, offered more vertical services comparing to Good Doctor, relying on advertising’s strengths and impact. With an educational rigor, it enables to connect patients to doctors and appointments bookings, emphasizing this feeling “It’s way more convenient than booking and visiting an overcrowded hospital.” A fact in which Alibaba Health Information Technology intends to bring some improvements in expanding health insurance services, a fresh reminder of the unprecedented challenges this industry has ever faced. 800 million represents Chinese consumers who use frequently their mobile phones for apps. A stronghold was largely taken by young generation called “Millenials” in a hyper-connected society. From 18 to 37 years old, more than 90% have access to the internet in the country while older people are not connected at the same scale. That displays the major predicament the country has to palliate in the next years. Adjusted strategy, reducing the gap in resources distribution and regulating the aging process are the main issues at stake. People above 65 will probably represent 20% of the whole population, greatly due to the reduction of birth rate engaged a few decades ago. Deterrent solutions in cities like Guangzhou or Shanghai consists in reducing the credit rating for the young adults who fail to respect their social work like paying some visits to hospitals. More doctors are needed to warranty a credible support to Chinese citizens in need with a feeble ratio of average 1.5 doctors for 1000 people. More local medicine students are keener on going abroad because of current regulations and better framework. A new challenge for the education sector, especially universities, consists in making Chinese medicine practices more valuable and less down to earth. Meanwhile, providing the same solutions to every part of the whole population may seem unrealistic but not impossible. Concierge and telemedicine services, tailored information, more reactivity are the further concern to rebuild a new “Trust Act Agreement”. U.S healthcare current system is quite working, Chinese institutions and medical experts have to drive their focus more on digital advancement, offline and online activities and less mystery. It is Very popular with wealthy Chinese to have Medical treatment outside of China. Most of the Chinese People are not satisfied with the Treatment they may receive in China and do not trust Chinese Doctors, Chinese Hospitals. They use to book Clinics in the US, In Japan, in Switzerland or Isreal to receive the best Medical services. 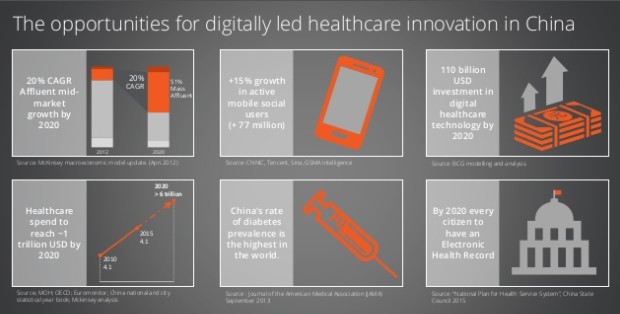 Digital: the Key to Enter into the Health Market in China? 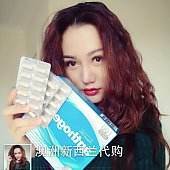 The internet dominates the Health Market in China and is the priority if you want to enter this Health, Medical and Pharmacy Market. Businesses in China have to grow their awareness and E-reputation as well as their product range and identify health benefits For Chinese Patients & Clients. Everybody understands that Brands and Health Company have started with a Chinese Website ( In Simplified Chinese). The positioning of this Website is important and Chinese patient & Clients Use to double check Official Website before any purchase. Picture, Content Video is Vital to give a Good Impression. Chinese Consumers like nice Content and like to read the explanation, testimonial of Doctors, and Explanation when it matters to health. An APP, having a Mobile Application can also be a good strategy, because many Companies use to Engage their CLients Patient/customers via Mobile. What do Chinese Patients buy? 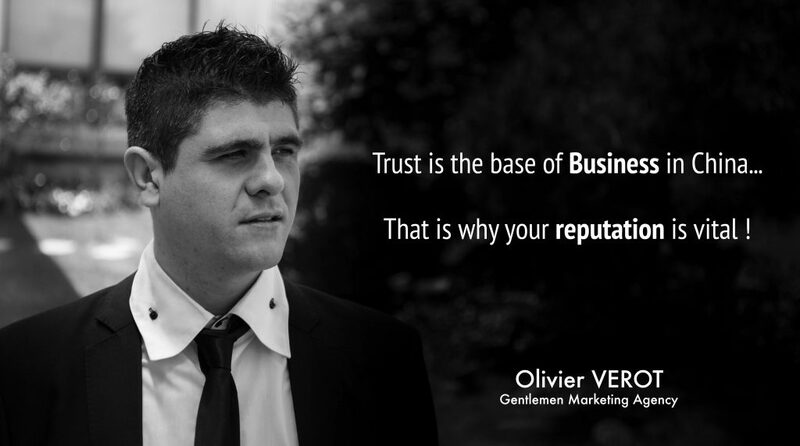 Trustful Companys, Trustfull Solutions. They will check Forums, Questions & Answers Portals, Discussion on Social Media, Media. They are scared of Scam, cheating Companies. Problem: Chinese healthcare Businesses have cheated Chinese Patients, often with disastrous effects. 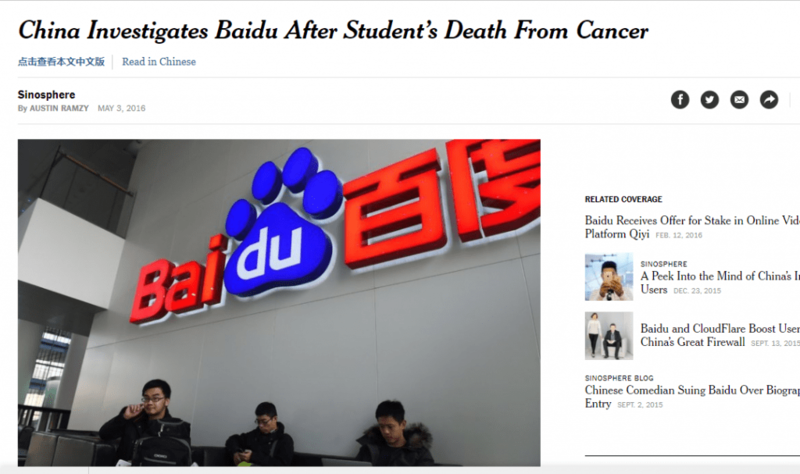 Baidu Hospital Scandal; There was a huge scandal in China in 2016. The Baidu Gate. After this scandal, it has really clamped down on the health industry. Solution to improve your E-Reputation in China? 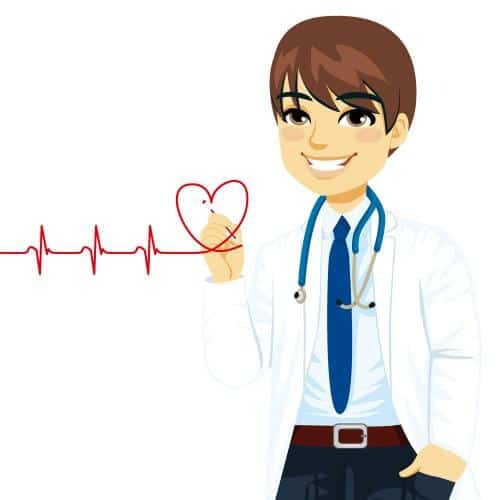 Search Engine Strategy is Vital in China because it is only when you have a health problem that you are interested in Healthcare Products, Medical Treatment and Pharmaceutical Brands. SEO: Search Engine Optimization. It is on Baidu. We are specialized in Getting Results, Position and traffic for our clients. Medical Keywords are the most difficult keywords in China. SEM: It is the Pay Per Click the SEA(Search Engine Advertising). It is usually quite expensive and not allowed for Foreign Companies in China, without Chinese business License. 4- Social Media: How to Engage Chinese Patients / Consumers? Wechat First Weibo Second, other APP social networks Third. 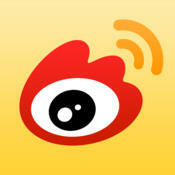 It is the most used Social Networks in China. WeChat has about 900 million active monthly users with the average user spending 2.5 hours per day. Businesses evidently have to develop a strong presence on the Number one Chinese APP. How to Maximize your Wechat marketing? Create Push: Create Good content, mix between Newsletter and Blog Posts. Promotion: Promote this content on Wechat via Group Shares, influencers, and Wechat advertising. Weibo is the second Most used Social Media in China. The mix between Twitter and Facebook, Weibo allow Brand Communication with short message & Pictures. how to Maximize your Weibo Marketing? Manage your community: reply to questions, interact with your database of followers, and other Weibo accounts. Every Healthcare Company has to use Media to Communicate in China. Corporate news publishes on Chinese Media bring trust and credibility to Health institutions. We use to know most Popular Health News & e-Magazine and have contacts with Many Journalists. Brands, institutions, Hospital have to provide press release, report and we help them to publish it to the Chinese e-Media. Chinese mainly read eNews, e-media in medicine. In China, like everywhere in this world, Influencers (or KOL key opinion Leaders) can be a great help to get the credibility of influential People and expert. It is a Commun strategy to have an Engagement strategy among this group of Influencers. how to Create Great Influencers Campaign? Reuse their testimonial in your Social Media strategy, PR and on your Website. 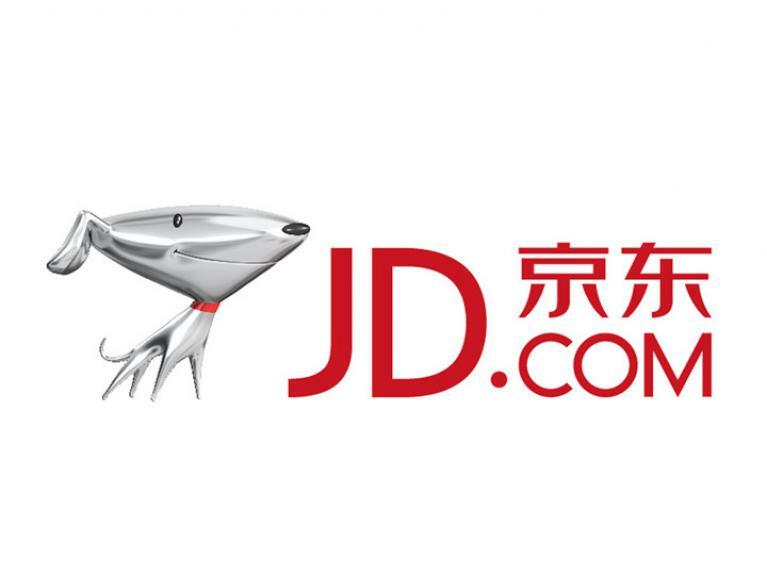 Jingdong or JD.com is the most trustful e-commerce platform in China and the number one place to find real Products. We usually advise our client in the Medical field to integrate this Platform. how to sell on JD? How to sell on Tmall / Taobao? Set up great Customer Services, via Chat. 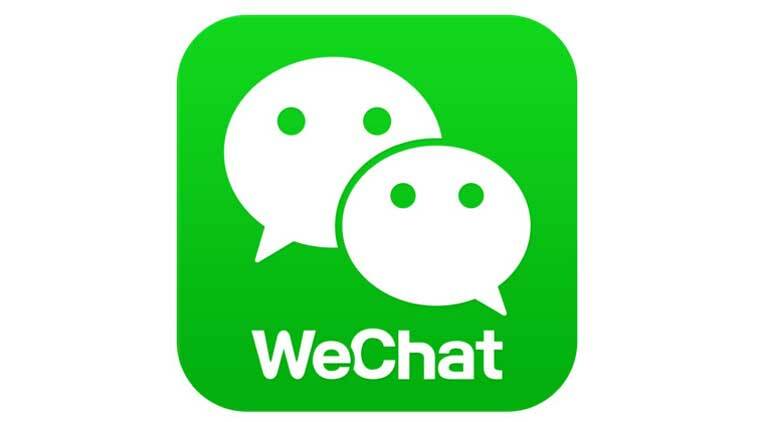 You can also develop a Wechat Store. It is a cheaper solution and easy to set up. It will be visible only on Wechat for your Community. It is a good way for small players to start to sell in China. no, it is usually a Bad idea to sell on your Website, because 99.9% of Chinese buy only on a famous E-Commerce platform. It is easier, safer and they can return the products if they do not like. They have a choice, and it is a habit now to search on Taobao, JD or other Chinese Mobile App like Kaola to find products. We also provide innovative Solution or Top advance strategy to our clients. You are a Healthcare Company that want to Enter the Chinese Market? You are a Medical player and want to boost your Business in China? You are a Medical Business (Hospital, Clinic … ) and want to attract Chinese Patient. I Invite you to have a look at our Case Study, our Agency Website. 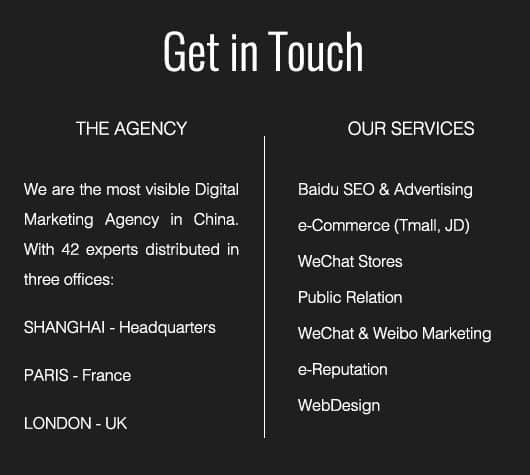 You can book a Meeting with our Consultant to have a better overview and how we can help you to Develop your Marketing in China.